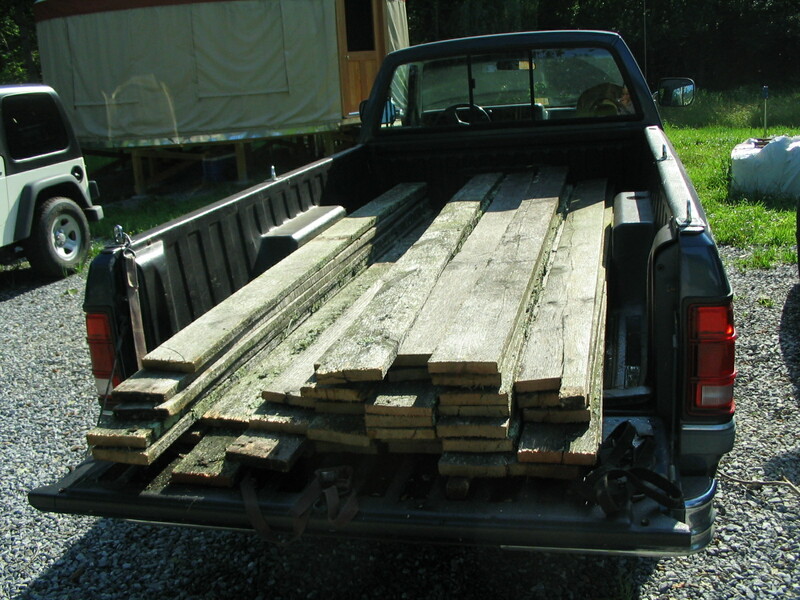 Gavin has been salvaging these oak fence boards from a fence in Bedford County that is being torn down. He is bringing boards home by the truckload. They will be useful for many building projects. 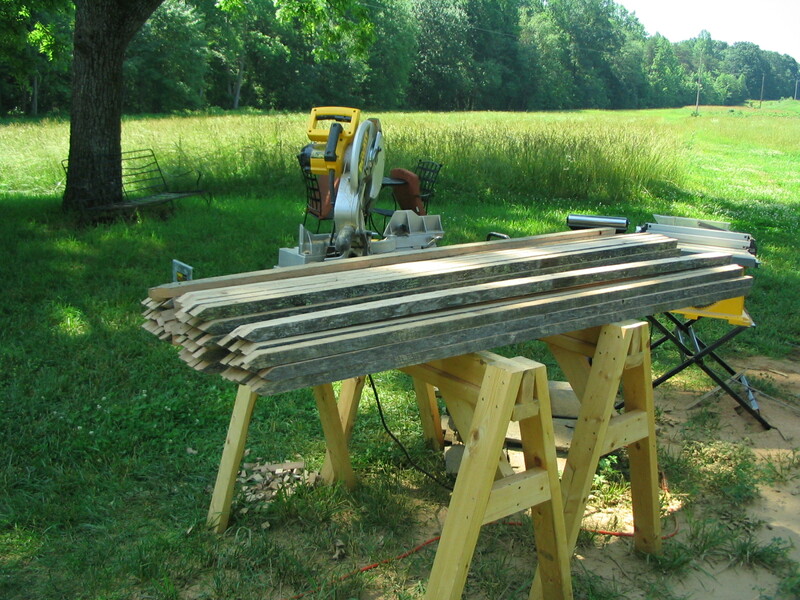 He spent Saturday morning making stakes for the tomatoes from some of the boards. Then he had to go buy a new tool to use to put them in. A post driver. He said it is still hard work getting the stakes into the ground, even with the post driver. But at least he doesn’t have to drag a ladder and sledgehammer down the rows. 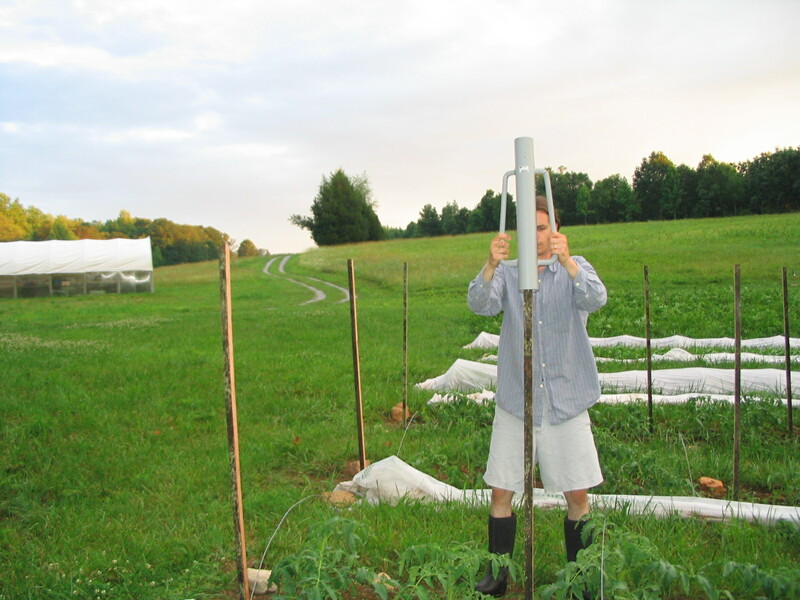 In the past we’ve used cylindrical wire tomato cages to support the tomatoes, but since we had a ready source for stakes (and no cages) we thought we’d try this method. 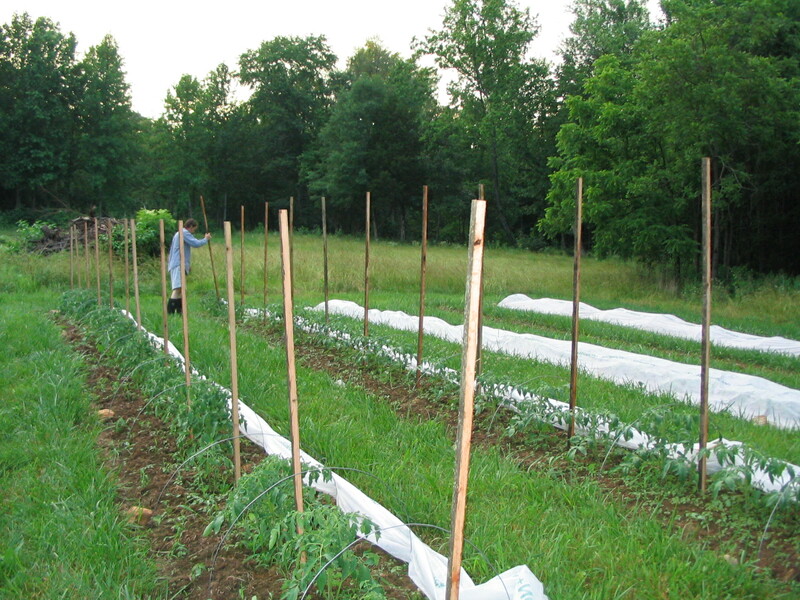 Basically you put up stakes every two plants, and then tie twine between the stakes every six to 12 inches, sandwiching the plants between the twine. The tying is a lot of work, especially when you don’t keep up with the tomato growth. It must be the architecture student in me that loves the verticality and repetition of the stakes across the horizontal rows. The garden is beginning to look like something! 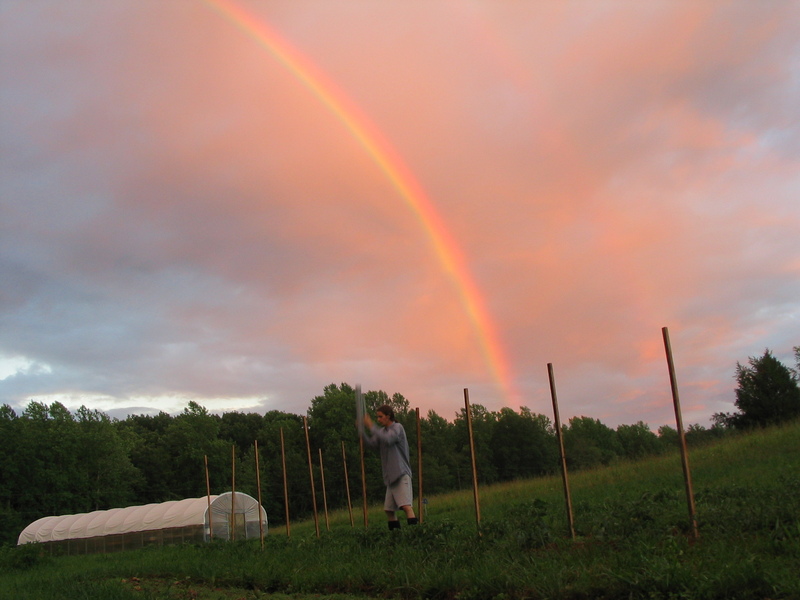 That evening there was a rainbow over the farm.